Melchor arrives in Madrid for an arranged marriage with a woman he has never seen. En route to her house, he stops off in church, and falls in love with a veiled lady, having seen only her hand. Little does he know that the mysterious lady of the hand is in fact his bride, Magdalena, but when he meets her, unveiled, at her father's house, he has no interest in her, for she cannot live up to the ideal image of desire he projects onto the veiled lady. Magdalena, in love with Melchor, is torn apart -- jealous of herself -- as she plays the role of her alter ego, knowing the "real" version of herself can never live up to Melchor's dreams. This intricate, witty work by the master of Spanish comedy was written 400 years ago, but is extraordinarily relevant and poignant today for its depiction of a young woman caught in a trap of male fantasy. 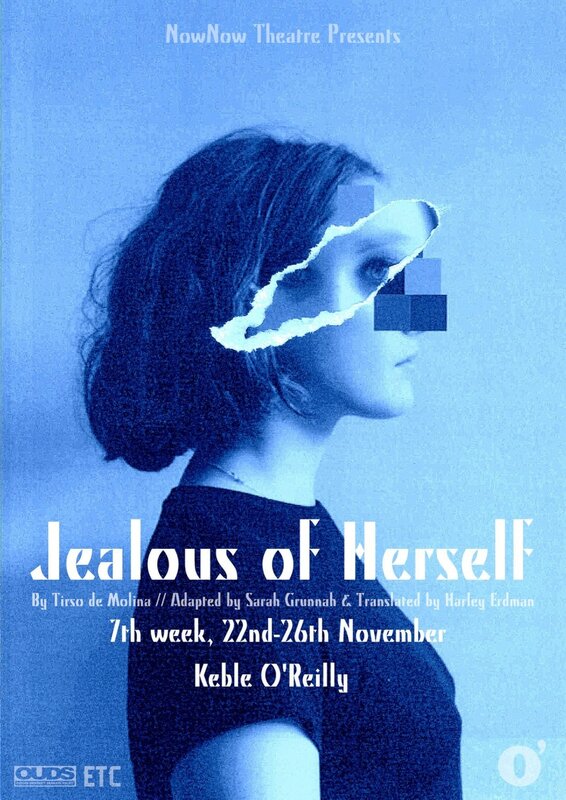 Jealous of Herself was produced by NowNow Theatre, Oxford UK, in November 2016. It also received a reading in April 2017 by Avant Bard in Washington DC. The translation is also the basis for Henry Ong's original new play The Blade of Jealousy, set in contemporary L.A.